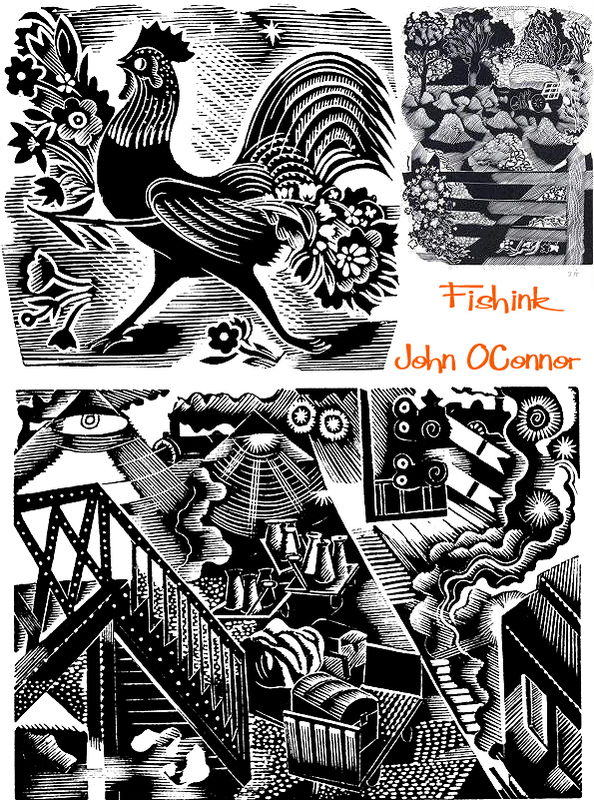 John O’Connor (1913-2004) was born in Leicester where his father, whose family had come from County Tipperary, was an optical instrument maker. After Wyggeston school and Leicester College of Art O’Connor attended the Royal College of Art (1933-1937), where his teachers included Eric Ravilious, John Nash and Robert Austin. 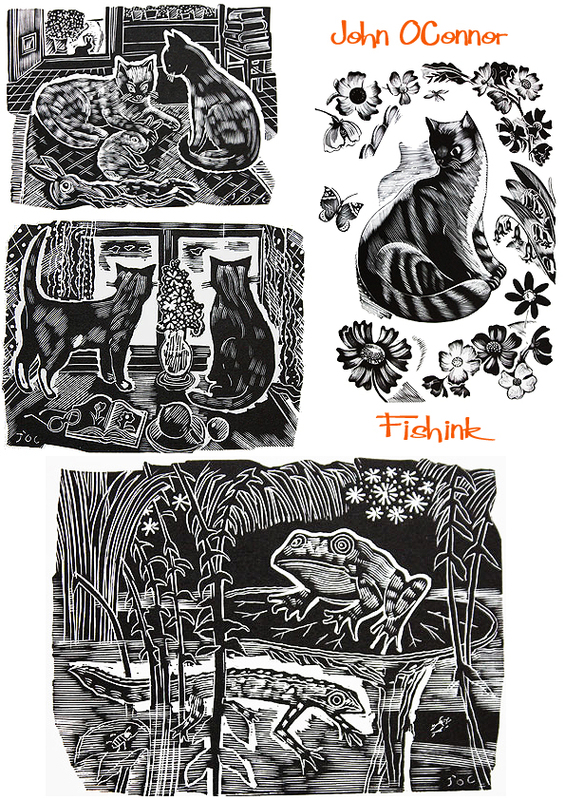 Each influenced him, but from Ravilious he learned a great love of wood engraving.In 1936 Ravilious introduced him by letter to Christopher Sandford at the Golden Cockerel Press. Following WWII where he served in the RAF O’Connor taught at Hastings School of Art, before moving, in 1948, to become principal of Colchester School of Art (later the Colchester Centre for Art, Design and the Media). 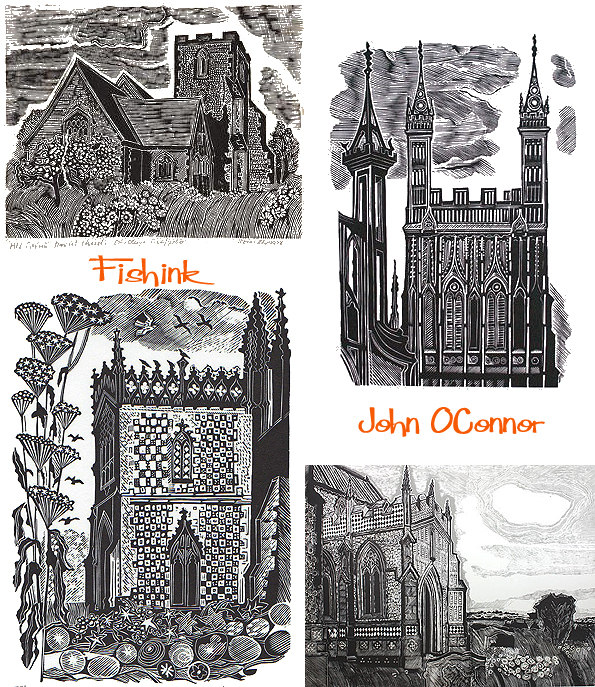 His colleagues included Richard Chopping, who designed dust jackets for the James Bond novels, his own former teacher John Nash, and Edward Bawden, one of the finest British printmakers. After leaving Colchester in 1964, he was a visiting lecturer at St Martin’s School of Art until 1975, and at Glasgow School of Art from 1977 to 1984. 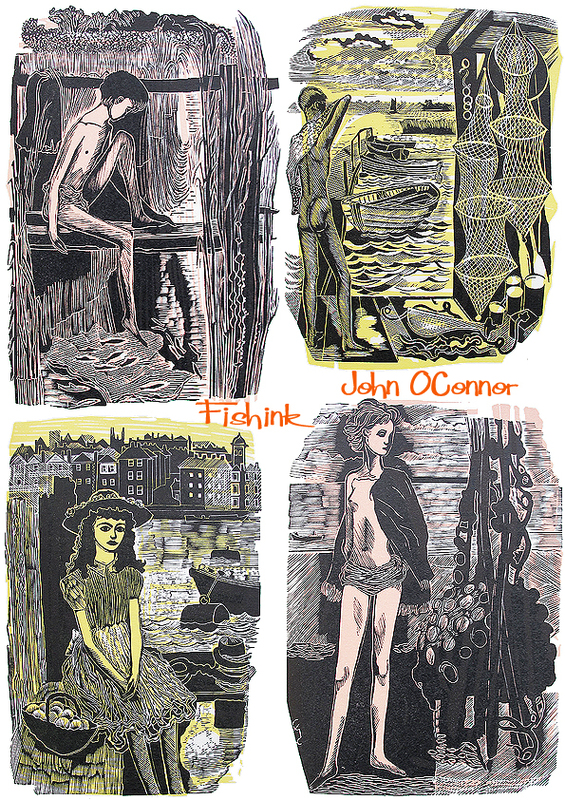 Despite these commitments, O’Connor continued a varied output of illustrations and writing. In 1948, he produced illustrations for The Funeral Oration Of Pericles and The Young Cricketer’s Tutor; two years later, he provided text and engravings for Canals, Barges And People (1950), subjects dear to his heart. In 1949 O’Connor moved to East Anglia to take up a post as principal of the Colchester School of Art, where he persuaded John Nash to come and teach. He persistently warned students against being carried away by the ‘niggle bug’ of niggly details and scratchy engraving. One student created such a bug to hang in the studio as a caution. His later books included Landscape Painting (1968), a guide to the practical techniques and intellectual aspects of landscape painting from the 15th century onwards, which covered everything from the use of insect repellent to the theatrical element in landscape art. He also contributed to Harper’s Bazaar, House And Garden and the Radio Times. In the 1950s and 60s, O’Connor exhibited at the Zwemmer Gallery, in London, and had many exhibitions throughout Britain. His work was purchased by the Arts Council, the Tate Gallery, the British Museum and the Contemporary Art Society, as well as by several local education authorities; it can also be found in the Oslo Museum, the Zurich Museum and at New York central library. He was elected to the Royal Society of Painter-Etchers and Engravers in 1947, and, in 1974, to the Royal Watercolour Society. 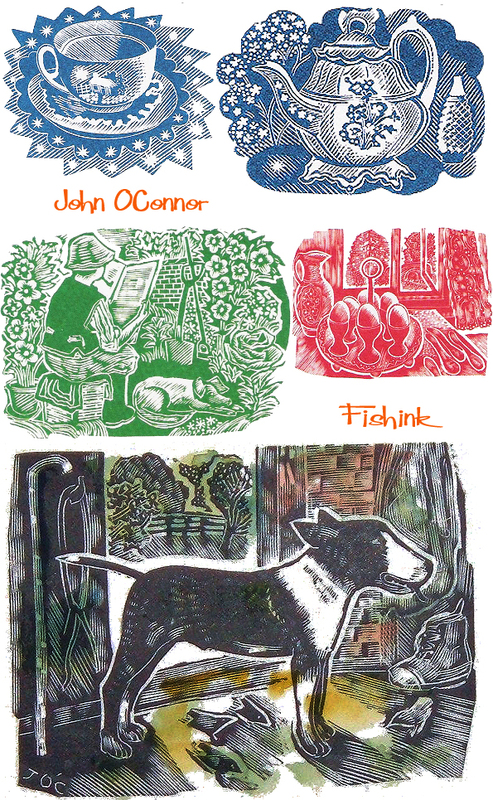 He was an honorary member of the Society of Wood Engravers. In the early 1970s, he left Colchester to move to a converted bothy in the Stewartry of Kirkcudbright, seeking the wildness which was fast disappearing from the Suffolk countryside. He also undertook a visiting lectureship at Glasgow School of Art. Always heavily influenced by medieval art, especially Gothic stained glass, manuscript illustrations and painting of the 14th and 15th Centuries. 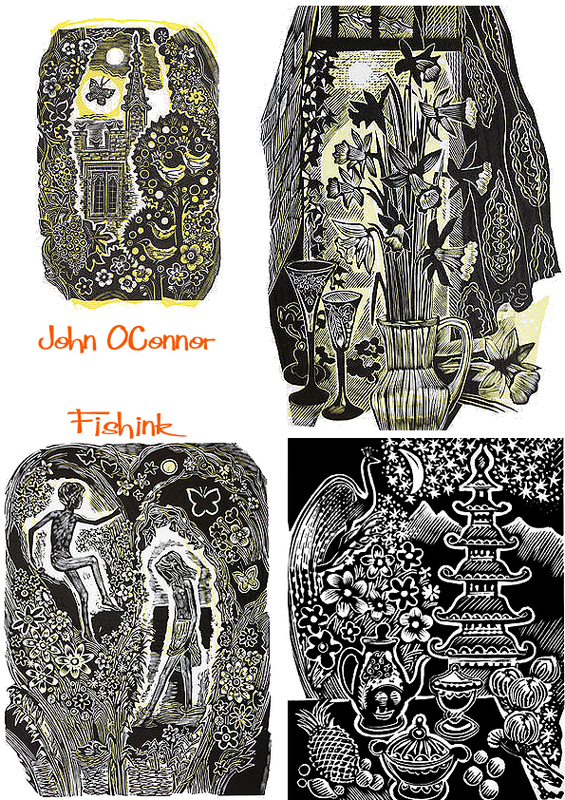 O’Connor was also inspired by the works of Munch, Lucas Cranach, Wright of Derby and Murillo. As well as engravings, he produced his own stained glass window designs (for the Betton Memorial window in St Mary’s, Hadleigh) and painted many watercolours as well as powerfully coloured, slightly abstract oils. He said that watercolour should be experienced as a ‘taste’, giving ‘the sense of a thirst being quenched, as if by a pool of water on a long and tiring walk’. 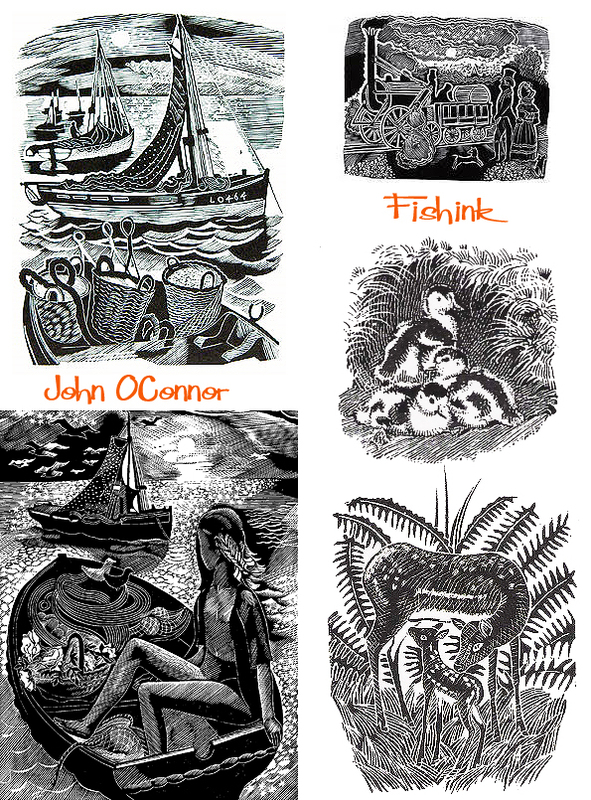 Until 2001, O’Connor produced a monthly wood-engraving for Richard Ingrams’s Oldie magazine, work which involved considerable physical effort. This drive to create was typical, however, and he remained active as an artist – and full of energy – despite using a wheelchair and suffering from increasing deafness. 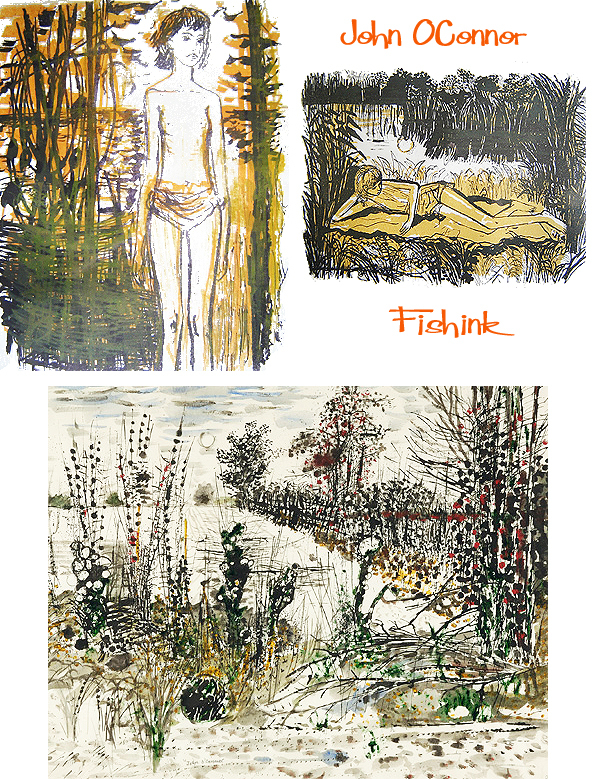 His work is held in permanent collections at the New York public library, Columbia University and the public galleries of Oxford and Cambridge. 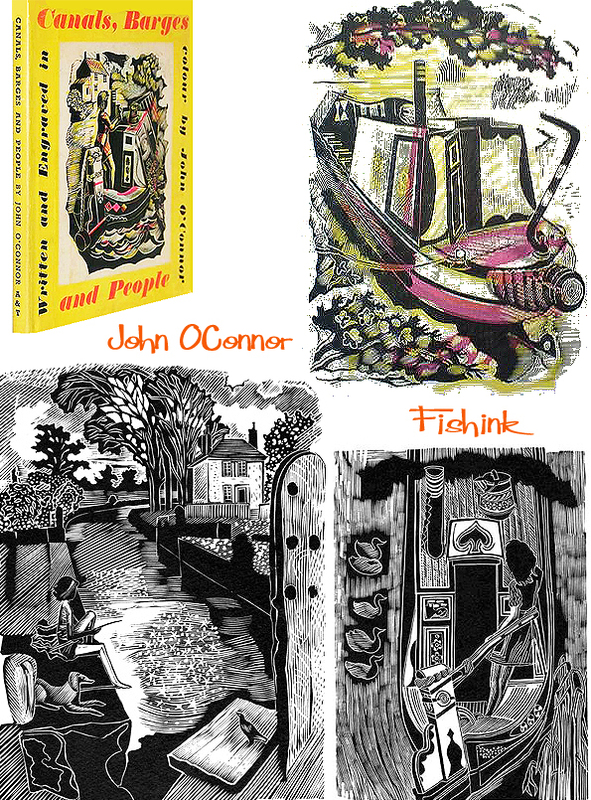 He also wrote and illustrated his own books: Canal Barges and People and A Pattern of People. 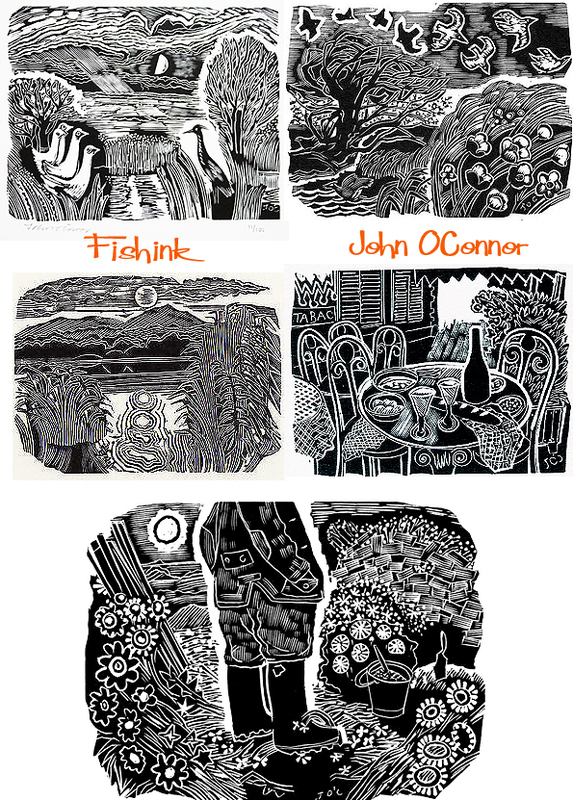 You can buy a print of John’s work over at the Emma Mason site or a greeting card over at Xantha Cards.